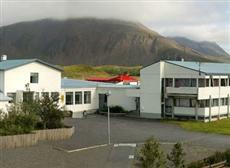 With a prime location on Iceland close to the Vatnajokull and the Skalafellsjokull glaciers, the affordable Hotel Edda Nesjum offers the kind of warm hospitality, inviting atmosphere and modern services allowing for a great vacation on Iceland. This welcoming Hofn Hotel is a great accommodation to enjoy many outdoor activities in the nature such as hiking, trekking, climbing or bicycling. A cultural highlight of the town is the annual lobster festival held on the first weekend of July. With a cosy seafood restaurant, a meeting room, a private parking area and a very helpful staff, Hotel Edda Nesjaskoli in Hofn represents the perfect destination for guests looking for an unforgettable stay on Iceland. The hotel is open from 1/6 until 10/9.